My husband and I recently spent several days in the mountains of North Carolina with our daughter. The highlight of the trip was a tour of Biltmore Estate. We enjoyed the tour of the estate, for sure, but what really impressed me was the perennial gardens and conservatory. 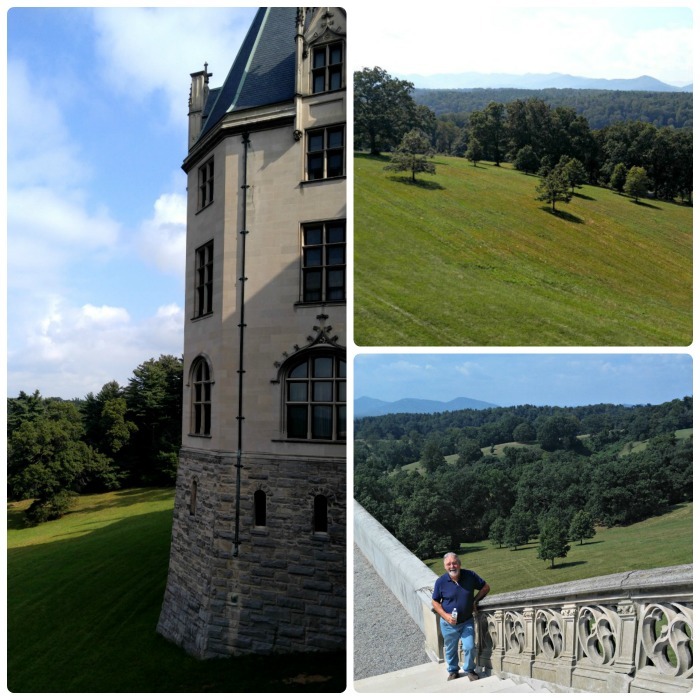 I thought my readers would enjoy reading a blog post featuring a Biltmore Estate Gardens Tour. 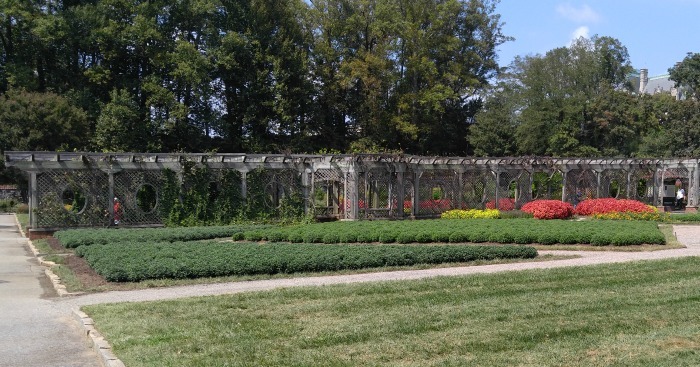 Since we visited the grounds of the Biltmore estate in September, there was not as much flowering as there would have been earlier in the year. (I would love to visit again in Spring.) I am sure the gardens are magnificent, then.) But the lack of outdoor flowers didn’t bother me much. I spent most of my time in the Conservatory. It is something to behold! The conservatory is a huge building on the estate and houses every imaginable kind of flower, and plant that you could wish to see. Many of my photos are of plants that were in this building, but I have also included shots of the outdoor gardens, too. So grab a cup of coffee, sit back and enjoy this virtual tour of the Biltmore Estate Gardens. This article contains affiliate links for your gardening experience. As soon as we drove up to the entry, I knew that something special was in store for us. Not only is the Estate magnificent, but potted plants outside at the entry and on the verandas all told me that I was going to be enchanted during my visit by a wonderful gardening experience. The inside of the estate was gorgeous, of course. But it was quite dark and, other than a domed sun room just inside the front entry, there were not a lot of plants visible. But once we stepped outside, either on a veranda or headed towards the conservatory, all that changed. The views were magnificent and the patios were well decorated with lush plants in large ceramic planters of all types. Once we had finished with our estate tour we headed towards the conservatory. Before we toured the Biltmore Estate gardens, we stopped at one of their cafés and had a picnic lunch. Lining the bannister railings of the café were lots of railing planters overflowing with succulents. 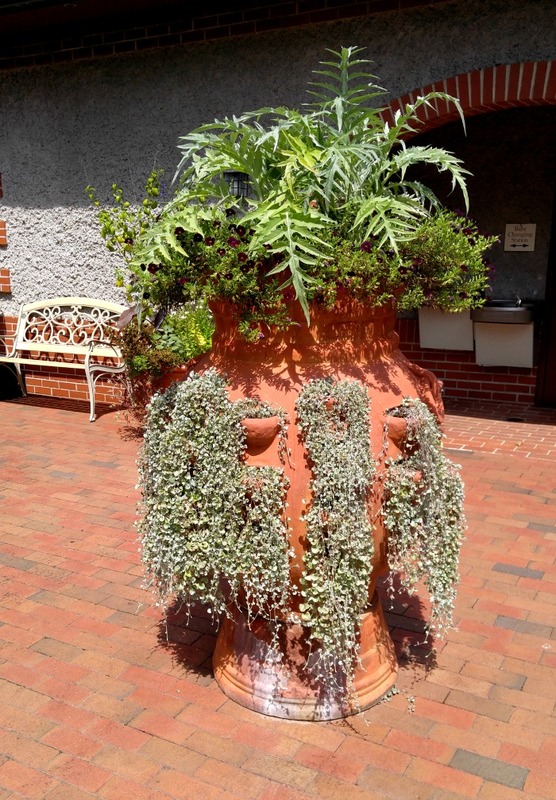 Also, lining the pathway of the café were large clay pots filled with oversized succulents of all types. One planter that I absolutely loved was a HUGE strawberry planter filled to the brim and overflowing with succulents, ferns and other large plants! It was about five feet tall! After enjoying our picnic, we headed out towards the conservatory. I was so excited to see what sort of plants this magnificent building would house. 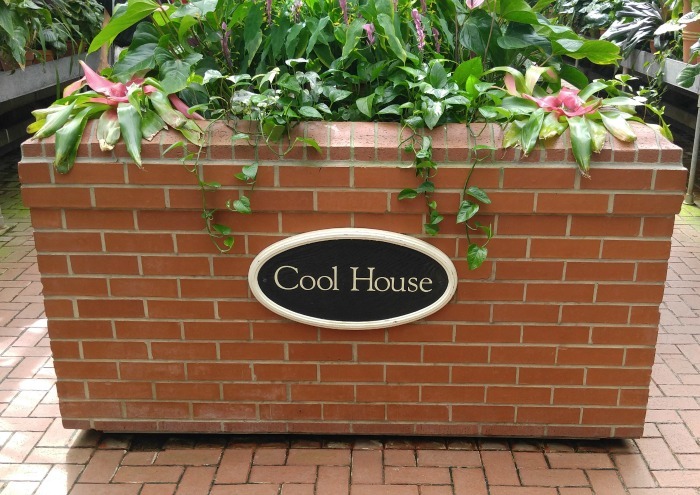 I was not to be disappointed in this building! 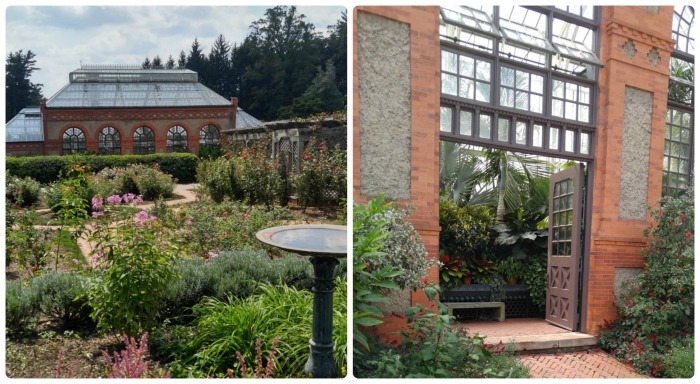 The Biltmore Estate Gardens conservatory was filled with one green house after another. 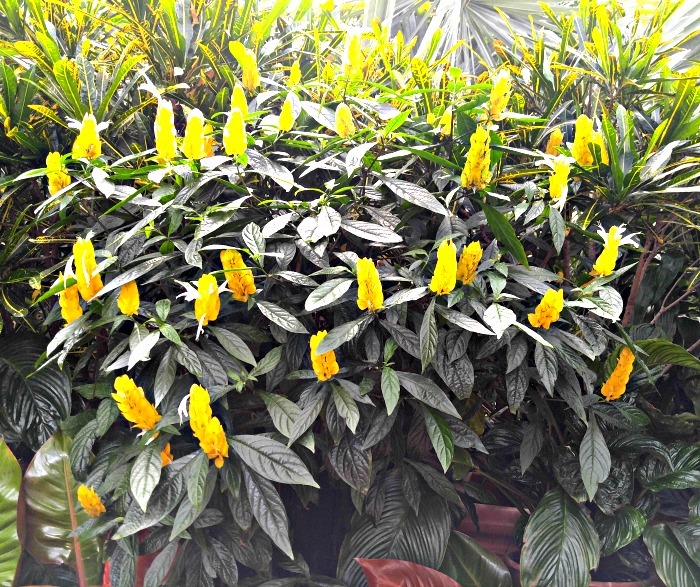 There was a hot house, a cold house, a Palm house, an orchid house and more. Every type of plant imaginable was contained in this building. It was like a natural maze that lead me from one delight to another. Each house had plants that were suited to just that environment. 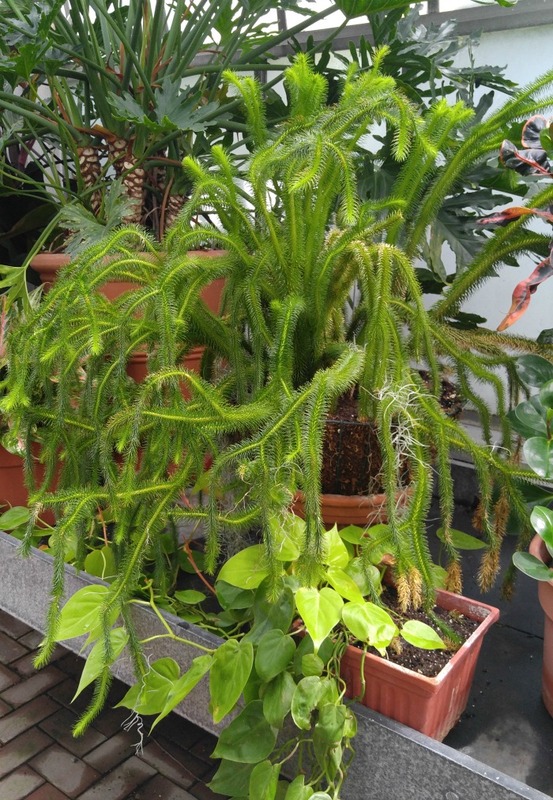 The central room of the conservatory is a Palm House, which contains a large collection of palms, ferns and other foliage plants. The total heated space under glass in the Conservatory is over 7,000 square feet. 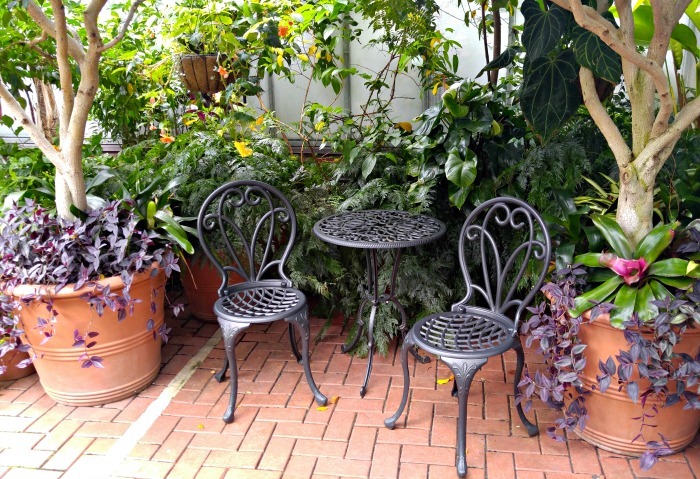 What makes this so amazing is that the gardens can be enjoyed year round, even in the cooler months when the outdoor plants are no longer in flower. We wandered through the rooms of the conservatory and I took hundreds of photos. I was in heaven for these few hours, believe me! Plants that I have grown over the years (in much smaller sizes) were on display. The difference is the amazing condition and size of the plants at Biltmore! This shrimp plant was about 5 feet wide and almost as tall and in magnificent condition. It took the whole end of one aisle of the conservatory. I had a baby version of this in my Southwest border last year. It was about 10 inches tall! Hummingbirds normally love this plant. Can you imagine having one this size in your yard to attract the hummers? 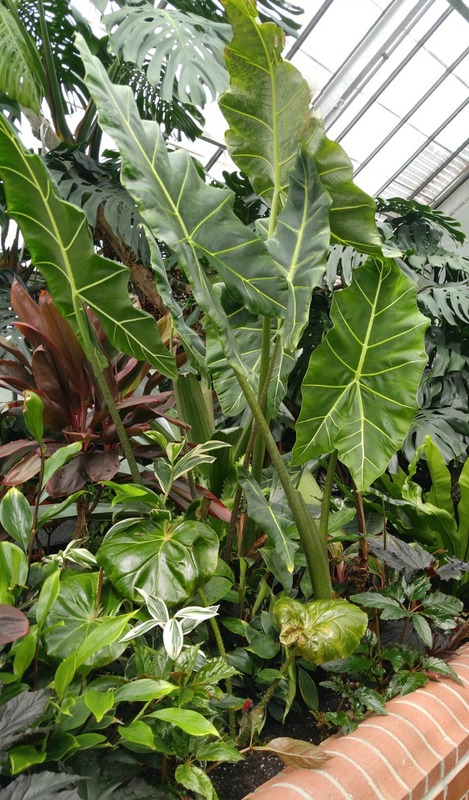 This magnificent large elephant ears plant graced one side of the Palm House. It is surrounded by smaller foliage plants in very lush condition. I loved seeing the variety of unusual plants and ferns mixed in with normal every day flower plants like this philodendron and tassel fern. 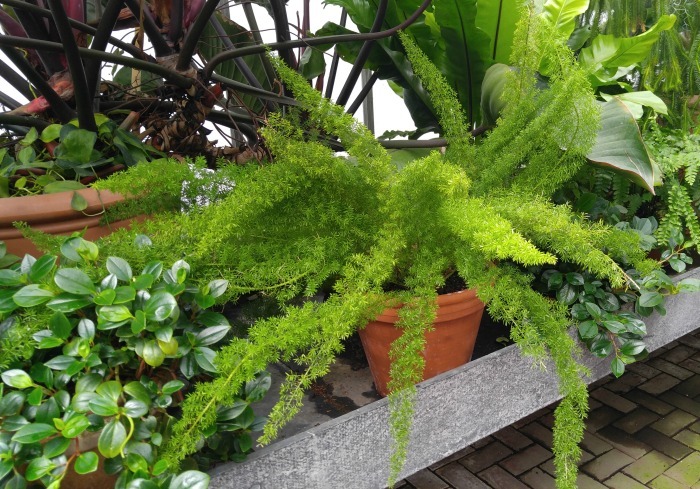 I have always loved Asparagus ferns ever since I grew them when I lived in Australia. I have not seen one quite so healthy as this living here in N.C. though! It had shoots about 2 feet long! Not an inch of space was wasted in the Biltmore Estate Gardens Conservatory. Whether it was the greenhouse rooms full of plants and flowers, or simply the walkways joining them, natural atmosphere was everywhere. This gorgeous planter is filled with New Guinea Impatiens in full bloom at the base and an enormous and lush tree above it. This lovely display was at the entry area. If you read my blog often, you will know that I adore seating areas. I just love to sit in my garden and admire the fruit of my gardening labor. It was no different at Biltmore Estates. They had many different seating areas on display. 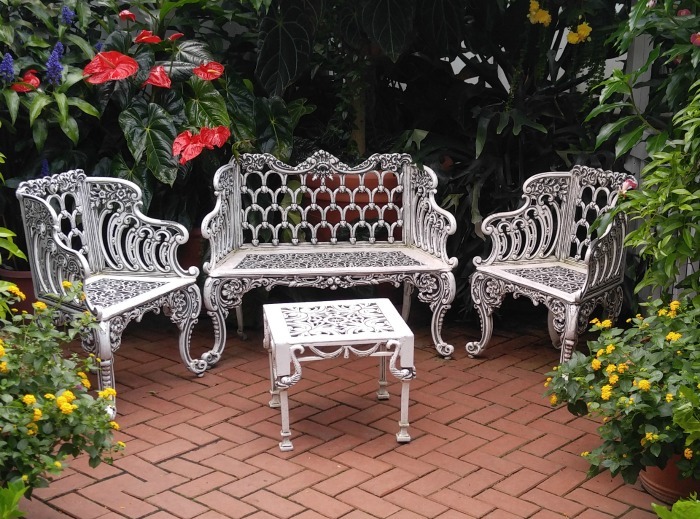 Some were quite large, like this white wrought iron patio setting under a white pergola. Other Biltmore Estate Gardnes areas had a simpler seating area, like this one with a small black patio bistro setting, which was still very pretty and peaceful. The highlight of my visit to the Conservatory was my trip through the orchid room. It was just filled with dozens of varieties of orchids in full bloom. 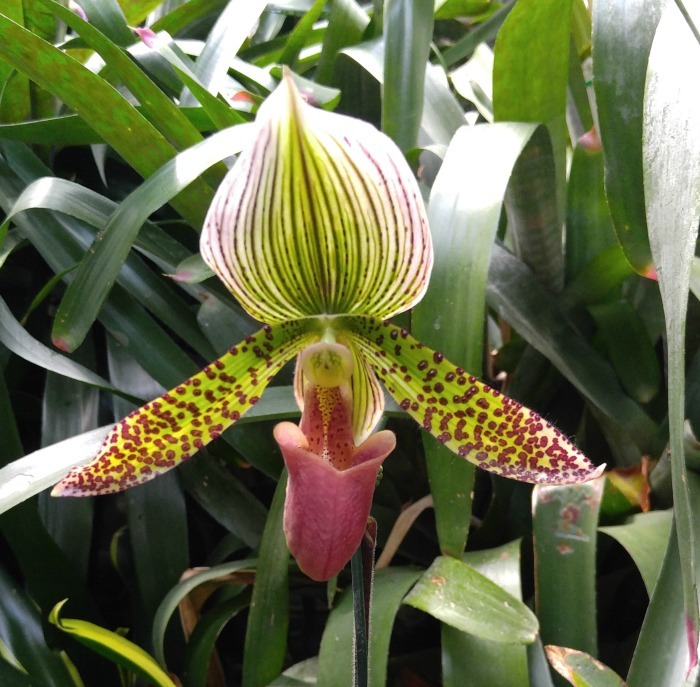 This gorgeous lady slipper orchid was just one of many colors of this popular orchid. 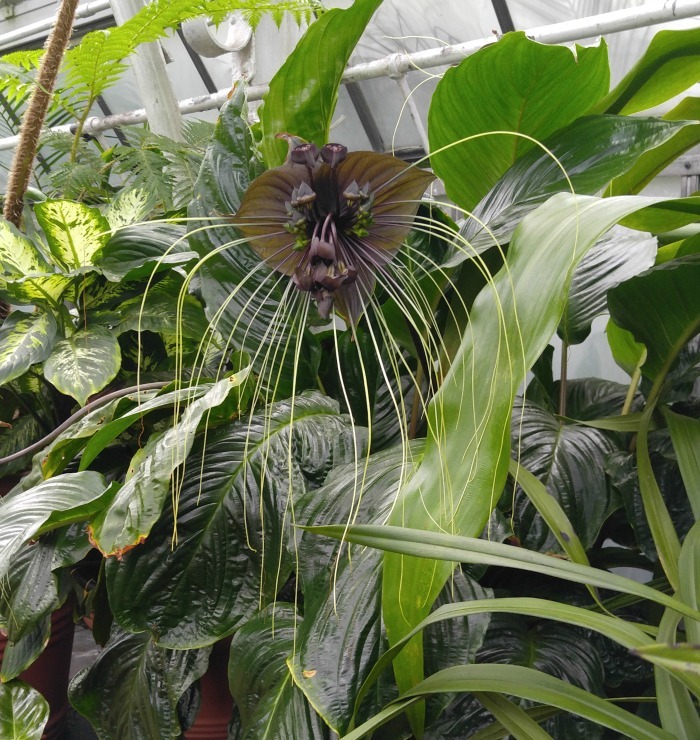 I have seen pictures of a Bat head lily before, but had not seen one in person. This guy was enormous. Look at the whiskers on it! They were about 18 inches long! After we left the conservatory, we headed up the hill and walked along the grape arbor. This wonderful structure was very long and connected many of the various garden beds that surrounded it. 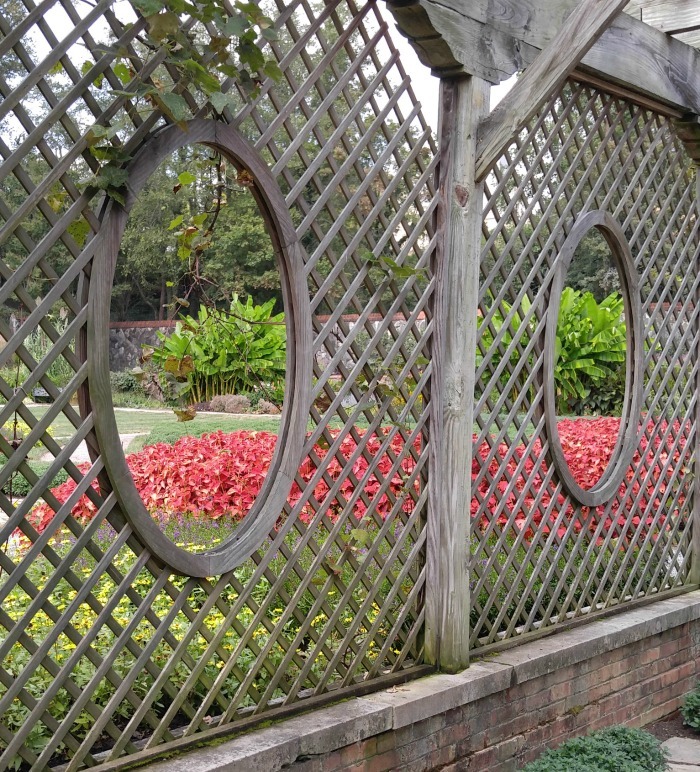 I loved the way the arbor was decorated with lattice work fencing. Each panel had an oval cut out where you could view a surrounding garden bed. There were also lots of seating areas along the arbor walk. No matter where you walked, there was something interesting to look at in the gardens of Biltmore. 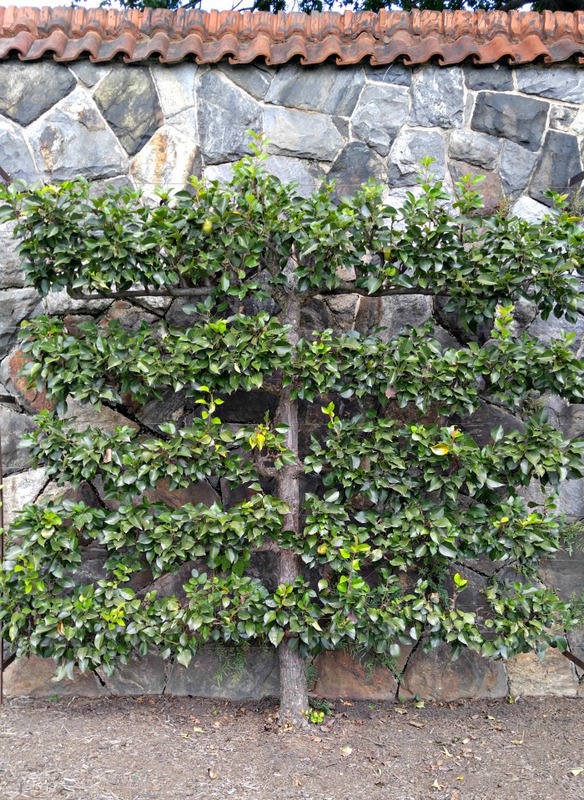 This pear tree has been trained to grow out in straight lines. My English husband said this was a common way to grow them in the UK. There are so many more photos that I could share with you of my visit to the Biltmore Estate Gardens, but I will end with this picture of a Quilled Seed yellow coneflower. So simple and so sunny. A perfect ending for my tour of the Biltmore Gardens. Have you ever visited the Biltmore Estate Gardens? What was your favorite memory of the trip? I would love to hear about it in the comments below. My daughter is a fashion and travel blogger. She also did a post on her blog showcasing our visit to Biltmore. Be sure to check out her thoughts on our Biltmore visit here. 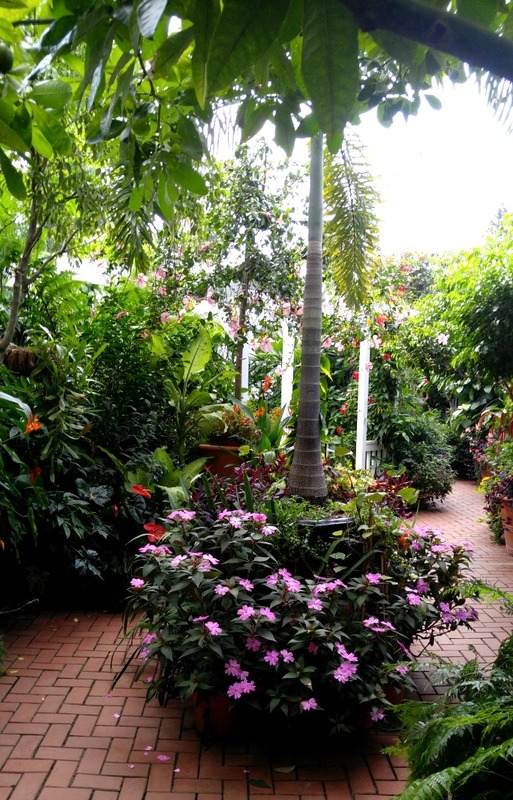 Stott Garden in Goshen, Indiana – A private garden that gives tours at no cost to the public. Wellfield Botanic Gardens in Elkhart, Indiana – Art and Nature in harmony. Beech creek Botanical Garden and Nature Preserve – the children’s teaching area is a delight. 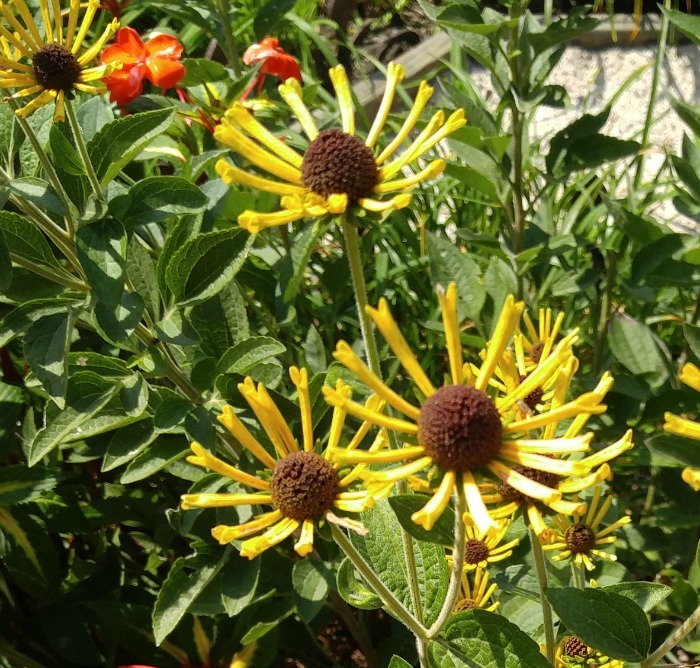 Hahn Horticulture Garden – a 6 acre teaching and display garden with loads of garden art. What a lovely, lovely time. I especially love the indoor planters, just like you. I have a black thumb, but my grandmother had a very, very green one. And seeing estates like this, with such a dedication to their gardens and greenery makes me think of her and smile. 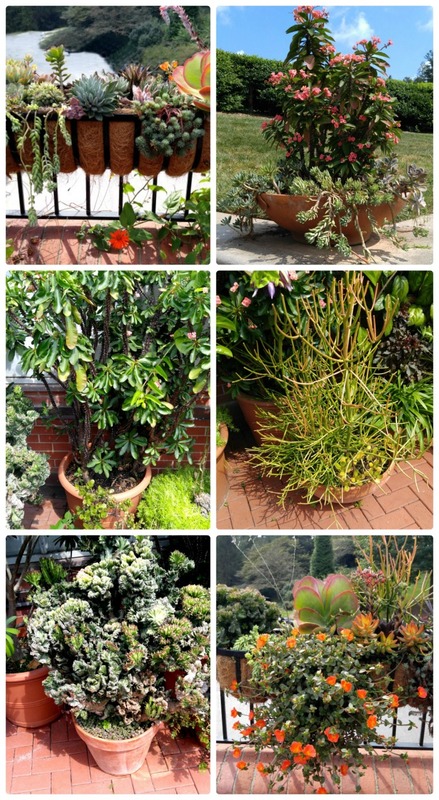 Well, you know me – I love those succulent planters, but what is even more fun is the lush ferns and other plants – the people that work there are truly lucky to have that job. I can just imagine how the inside of the conservatory smells – loamy and peaty. It was just wonderful Jacki! Thank you. We visited several years ago, and it was such a joy to revisit via your photos. I especially loved the succulents and the cacti area. Thank you also for the article about growing forcycitha. (sp) I want a bush but have a very limited area, a I also have lots of shade. What do the bushes look like after spring? Do they retain a pretty rounded shape or must you prune ofen?